This cute pickle Rick is an ideal plush toy for kids. Lovely cucumber image easily catches children's attention. The Pickle Rick is soft as he's made of fabric. The expression on his face is sooo Ricky! All the details (face, cucumber skin, etc.) carefully performed by hands, this plushie looks so attractive to you. Pickle Rick plush is 7.5" in length and roughly 2.5" in width. 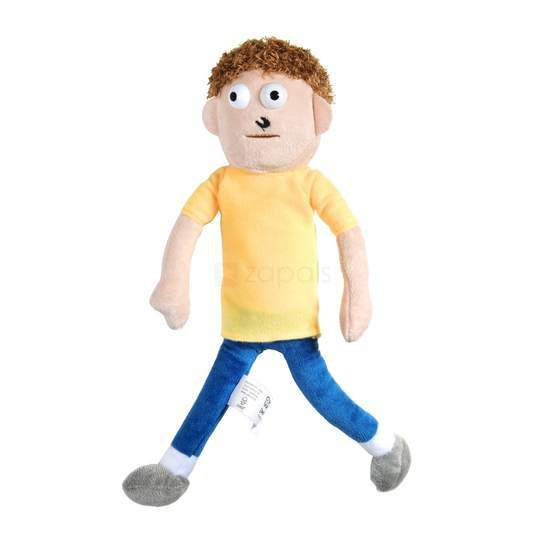 Had a look at the Morty and Rick plush on there pretty much cried laughing at it! they have have never seen this animation, ever. The fist glance at this post I thought it was something that the wife might want shoving into her Xmas stockings !!! 7.5" in length and roughly 2.5" in width. All the details (face, cucumber skin, etc.) carefully performed by hands, this plushie looks so attractive to you." I’ll give it a go for a couple of quid. Hopefully it shows up for Christmas. Thanks for sharing! Looks like a cheap knock off made out of fuzzy felt! The fist glance at this post I thought it was something that the wife …The fist glance at this post I thought it was something that the wife might want shoving into her Xmas stockings !!! 7.5" in length and roughly 2.5" in width. Not about your wife, but in general. Brilliant. Just ordered for the boyfriend. Thanks OP! I saw this the other day. I kinda wished I posted it now I was expecting it to go very cold..
"ideal plush toy for kids"
Looks like your twin brother. Maybe in the tiny photo, definitely not in person, don't worry! Wh..what do you think this is Morty, some kind of a *burp* duh-uh-deal site?? Heat for the item description alone. 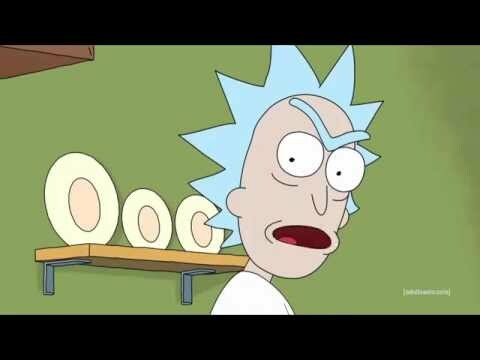 The best Rick and Morty episode for me. It looks so attractive for me. Just bought 3 of them for under £4. Bargain. TY OP! Does it come paired with the Jaguar? 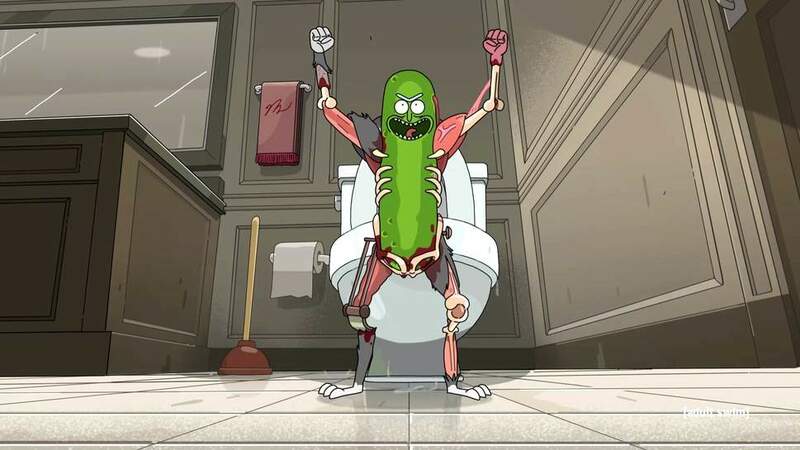 Also it's pronounced "PICKLE RIIIIIICK!" Wonder how many comments got put under review before going live ? Paypal took payment and then when it redirected back to the website it said unable to process order....great!! I ordered this about 2 weeks ago, no information from the seller regarding delivery after 2 emails. Singapore post still showing tracking not found. I ordered this about 2 weeks ago, no information from the seller regarding …I ordered this about 2 weeks ago, no information from the seller regarding delivery after 2 emails. Singapore post still showing tracking not found. Tbf it does say up to 45 days! Bought one, couldn’t resist at that price, cheers! 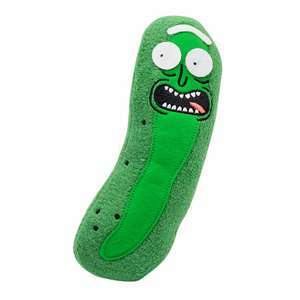 "Pickle Rick plush is 7.5" in length and roughly 2.5" in width"
You can pickle anything - e.g. pickled onions, pickled eggs. In the US, when they say 'pickles', they're referring to what we call gherkins, which are pickled cucumbers.